Home renovators looking to bring life to the smallest room in their home now have the chance -- with a toilet that doubles as an aquarium. 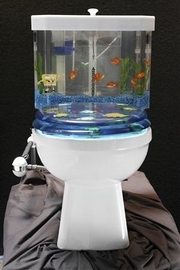 The Fish 'n Flush is a clear two-piece toilet tank that replaces a standard toilet tank, with a see-through aquarium wrapping itself around a conventional toilet tank. "We wanted to develop a product that had a dual purpose - to serve as a proper, fully functional toilet and also as a source of entertainment and conversation," said Devon Niccole, marketing director of California-based designer AquaOne Technologies Inc. which has just started to selling the tank. He said the company, which specializes in water conservation equipment for home appliance, had worked with a marine biologist to design a tank that ensured the fish were not harmed when the toilet was flushed. The aquarium toilet tank, which sells for $299, fits most toilets with the 2.2-gallon aquarium piece able to be easily removed for cleaning. The toilet tank itself holds 2.5 gallons which gives sufficient pressure for flushing. "Some people think we're nuts but other just love it and parents are using it to help their children with potty training. One thing you can guarantee is that people will be talking about it after seeing it in your home," said Niccole. MEXICO CITY — Mexico's antitrust agency announced Thursday that it was looking into potential price manipulation behind recent rising tortilla prices south of the border. Tortilla prices have soared more than 60% in some markets in recent weeks, sparking outrage from consumers and calls by some legislators to regulate the price of the main source of nutrition for Mexico's poor. In a statement, the Federal Competition Commission cited "structural problems" in the industry related to the concentration of market power in the hands of a few large players. And it promised to "attack the roots of the possible competition problems" in the industry. "Recent reforms … have given us better tools to investigate and sanction monopolistic practices in the corn-tortilla chain that are harming consumers," said Eduardo Perez Motta, president of the commission. He said companies that were found to be engaging in monopolistic practices could be hit with fines of as much as $6.4 million. The move was a direct slap at tortilla giant Gruma, which holds an estimated 70% share of the market for tortillas and cornmeal in Mexico. Executives could not be reached for comment Thursday. The company has not participated in the raging public debate as to why prices have exploded in recent weeks and how to get them under control. Food industry executives have blamed the price increase on a variety of factors, including rising fuel and electricity costs. But one of the most popular explanations is tight supplies of corn stemming from the ethanol boom in the United States, which is consuming millions of bushels of the grain. Experts say this explanation rings hollow because U.S. ethanol plants aren't consuming the type of corn used to make tortillas. Ethanol is made from yellow corn, which has limited uses for human consumption. 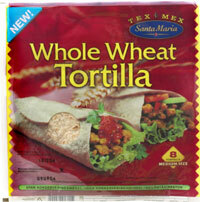 Tortillas and cornmeal are made from white corn, which is not used in the production of bio-fuels. Mexico imports very little white corn from the U.S. And Mexico's farmers produced a good-sized crop of white corn in 2006, more than 21 million metric tons, according to government statistics. Critics say intermediaries are deliberately withholding corn and cornmeal from the market. Respected Mexican central banker Guillermo Ortiz cited "speculation" for driving prices higher. Mexico ended 2006 with a higher-than-expected inflation rate of 4.05%, driven largely by rising food costs. Although tortilla prices have been rising all over Mexico, some cities have been hit worse than others, reinforcing suspicions of greed and price gouging. NEW ORLEANS (AP) -- Tara Chauffe understands she'll have some competition on her wedding day. 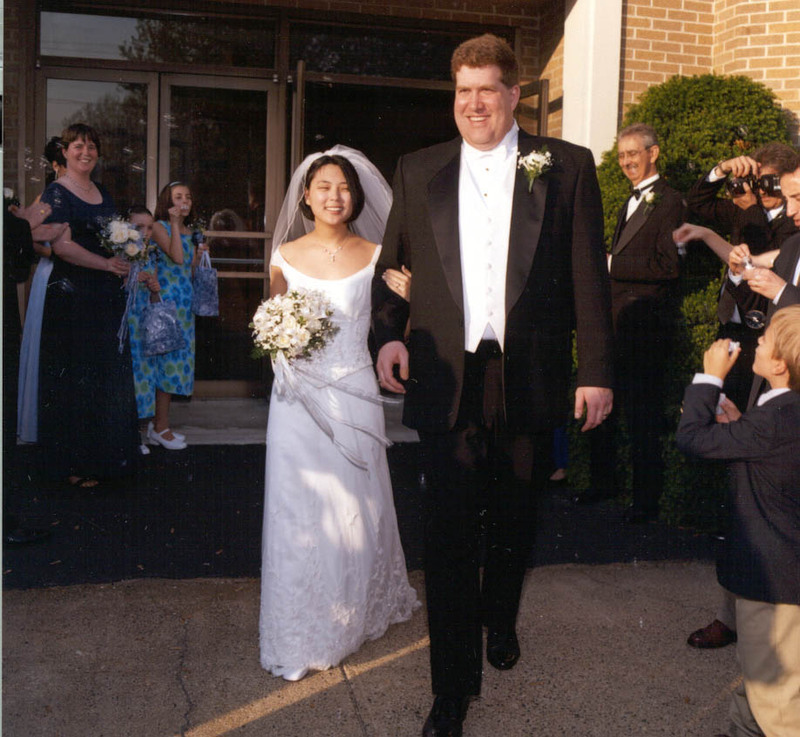 She's getting married in New Orleans Saturday evening, the same time the Saints will be playing the Philadelphia Eagles in the Superdome. Chauffe says she's already had a dozen guests who've canceled because of the playoff game. She knows they have tickets and she's trying to be sympathetic. But two bridesmaids and a groomsman who have seats for the game are giving them up to attend the wedding. Chauffe and husband-to-be Corey Boland say they'll probably have a TV at the reception, so guests can track the Saint's fortunes. But they'll turn the sound down so there won't be any cheering interrupting their first dance. A man posing as a Catholic priest was arrested for selling phony tickets to get near Pope Benedict on his scheduled trip to Brazil in May, authorities said on Tuesday. 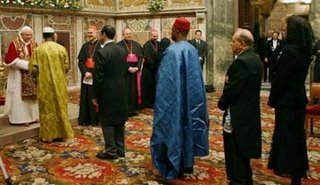 Erivandro Ferrer de Lima had charged believers 175 reais ($81.78) in cash and another 375 reais in installments for the possibility of "getting close and touching" the Pope, Police Inspector Rosicleide de Castro said by telephone from Fortaleza in the northeastern Ceara state. Lima carried a false credential from the Brazilian Bishops Conference, held mass and heard hundreds of confessions to prey on his victims, Castro said. "There are a lot of upset people," Castro said. Brazil has more Catholic believers than any other country in the world. In May, Pope Benedict will open the Latin American Episcopal Conference.